My first wedding back in the game after pregnancy couldn’t have been any better. 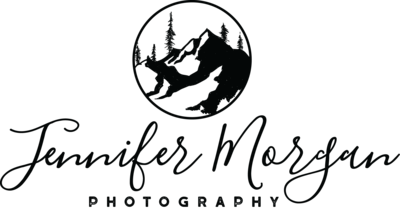 Pick any image from this wedding at Zephyr Lodge in Lake Tahoe, and you can tell from it what a lovely, gracious couple Elizabeth and Michael are. The kind of people who make every detail elegant and thoughtful, yet carefree with just the right touch of exuberance! Pretty much like them personally, now that I think of it. No two mountains are the same, and therefore though I’ve seen plenty of beautiful vistas out here in Colorado, my mind was still blown when we got to the top of Northstar mountain and took it all in. The setting was as breathtaking as the happy couple was. Despite that, while every bride and groom hopes for everything to go as planned on their wedding day, sometimes life gets in the way. With some determination and inspiration, though, you can treat imperfections like diamonds and shine them up with a little polishing. Second, unavoidable circumstances meant that the bride’s mother and sister weren’t able to attend the wedding. Thanks to the dedication of her father, though, the missing family members were included in the day via Facetime. Their officiant also read a beautifully poignant letter from Elizabeth’s mother during the ceremony that moved everyone’s hearts and brought out all the tears. Overwhelmingly, this was still a joyous, upbeat celebration filled with laughter, as it should have been. Elizabeth was an incredibly chill bride who couldn’t stop smiling, and Michael’s eyes were filled with so much love for her. Not to mention, the party on the dance floor was one for the ages. Their friends certainly know how to get down! Good people, good times, good memories.